When you’re looking to upgrade your home, one of the most effective places to focus is your roof. Roofing installation options have increased over the years, giving homeowners more options than ever before. 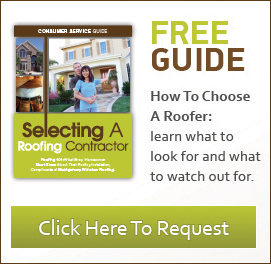 There are several different types of roofs and benefits associated with each one. 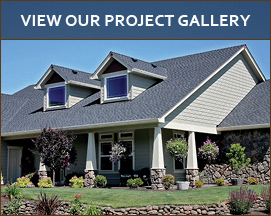 One of the most affordable options for roofing is laminated fiberglass. If you’re on a budget for your roofing installation, these shingles are a great choice to get a durable product at a great price. While they’re not as good at blocking heat as other materials, they offer great fire protection, low maintenance and come in a variety of colors to match any design scheme. If you’re looking for roofing material that will last for years to come, concrete tiles might be just what you need. Also extremely fire retardant, they offer minimal maintenance and lasting durability. These tiles also have the capability of mimicking several other styles, giving you the ability to create a custom look without the expensive price tag. 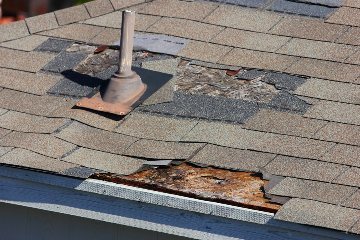 If you live in an extremely warm climate, you may want to consider clay for your roofing installation. The light color and arched shape deflect heat and allow air to circulate freely, keeping your home cool. Clay tiles are also bug and fire resistant and last for a long time. The large selection of colors and styles is another benefit that attracts homeowners to use this substance for their roofing needs. One of the most expensive types of roofs is a metal one, but the benefits create an investment return that quickly pays for itself. While metal roofs hold heat, they are also the quickest to cool down once the sun sets and night falls. Despite holding heat, they are also great at blocking it from entering your home. They are extremely durable and usually require no maintenance. If you’d like to keep your existing roof, a metal roof can be installed on top of it. As you consider options for your roofing installation, decide which factors are most important to you and which fit easily into your budget. The investment in a new roof is one that will pay off now and for years to come.